Home › FAQ › What is a Work-Study Program? As the expenses of earning a higher education continue to escalate, many students want to work while in college through a work-study program to help cut costs and lower student loan debt for after graduation. Work-study programs are a form of financial aid that provides funding in exchange for a student’s work in a part-time job conveniently located on their college campus. Undergraduate and graduate students in a work-study program are paid by the hour once or twice a month with earnings at least as high as the federal minimum wage. Paychecks may be sent directly to students or to the college to pay for tuition expenses, academic fees, room and board costs, and meal plans. If you are considering boosting your financial aid, read on to learn more about how work-study programs work. When searching for work-study programs, it is important to realize that there are two different kinds of work-study offered to college students. 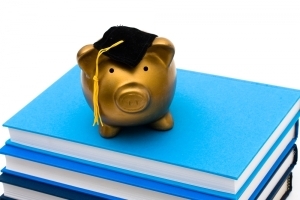 According to the Department of Education, federal work-study is awarded through the federal government to students who demonstrate financial need and have met certain eligibility requirements on the Free Application for Federal Student Aid (FAFSA). Total Federal Work-Study awards will depend on students’ application date, level of financial need, and the funding level given to your college. On the other hand, Non-Federal Work-Study (non-FWS) includes student employment opportunities at a specific school that are not based on financial need. Most non-FWS programs will include on-campus employers and be more flexible in allotting work hours around course schedules. Regardless of the type of work-study program, students typically will be encouraged to work in jobs that are relevant to their major field of study. The most popular work-study jobs available on-campus will be found in the dining hall, campus library, admissions office, and major college departments to provide valuable assistance in the community’s operations. Most off-campus positions that can be found in FWS programs will include working in some form of community service at public or private non-profit agencies. In order to inquire about the work-study jobs currently available on your college campus or in your community, it is recommended that you make an appointment at your school’s Career Services department for a full listing. One of the top reasons that students choose work-study jobs over regular employment is that earnings made from work-study will not impact your overall financial aid eligibility. Since the federal government does not count work-study earnings as income, there will be no worries that there will be deductions in your potential financial aid package. Work-study programs also give you many more benefits than simply providing extra cash for your tuition bill. Employers know that workers in work-study jobs are college students first, so they will be more flexible in scheduling work around class schedules. Part-time employment through work-study will enhance your education, add new perspectives to your studies, develop marketable skills, boost your resume, and build valuable real-world work experience in a related field. Overall, college students interested in work-study jobs are virtually guaranteed a job due to the multitude of part-time positions readily available on and off-campus. If you are ready to get started on a work-study program, you should begin by submitting the FAFSA form, searching for job postings in your college employment office, and interviewing with potential work-study employers to find the position that best fits your skills.